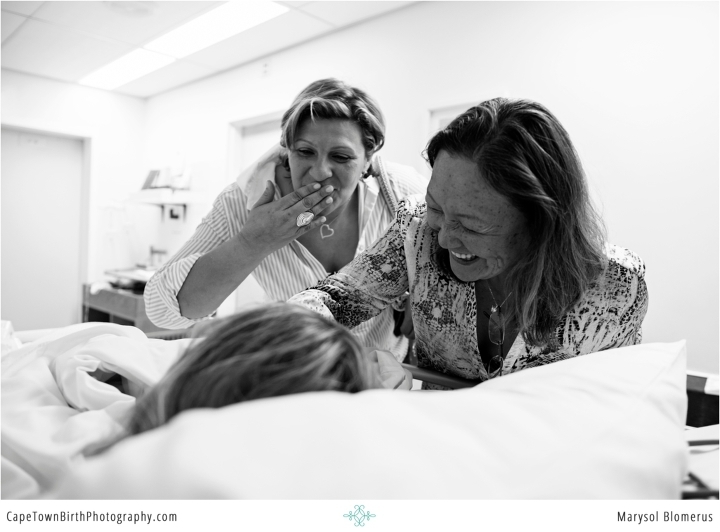 As a birth photographer, when I know a grandmother is coming to meet her baby, I hold my breath. They always have the best reactions, their emotions usually so close to the surface and so obvious on their faces. A woman becoming a grandmother makes for such emotional imagery. We often focus on how transformative birth can be for a woman. She becomes a mother. No doubt, there’s nothing like it. But I get teary seeing women take the next step in the circle of life. Not just meeting their grandbaby. But seeing their baby have a baby. I often wonder what emotions and memories flood their minds? I wonder about their personal stories and what they have lived through. It’s easy to forget women who are grandmothers are real people. To celebrate Mother’s Day, I’m compiling some of my best moments captured of women on the NEXT biggest day of their life, the day they meet their grandchild and watch their children become parents. There are so many facets to this day, as you will see in the images, it’s not just all one standard experience. Did you know you can hire me to quietly be present for the day your mother meets your baby? Or you wouldn’t be the first grandmother that hires me for her grandchild’s birth. 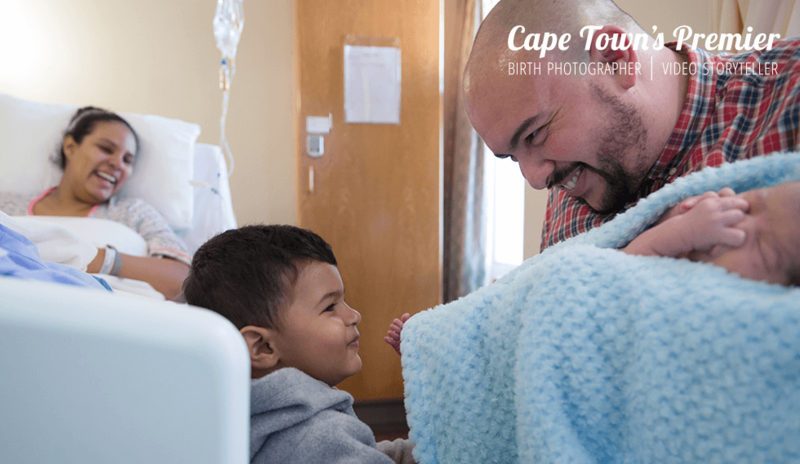 Meet The Family sessions are available with my birth packages AND maternity/newborn packages. Inquire here. I would be remiss in not acknowledging how many women can not be there for such a monumental day, either separated by the miles, by death, by estranged relationships or by health challenges. Mother’s Day can be hard on those of us who didn’t have our mothers there or who have recently lost a mother. It’s a loss for the mother and her child to experience. All the more why its worth capturing or celebrating when it’s possible. We stand in honour to the women who raised this generation’s mothers and fathers. To give birth, no matter how you do it, requires a monumental leap of bravery. Sometimes hers is a knowing reassurance right before there’s no turning back. 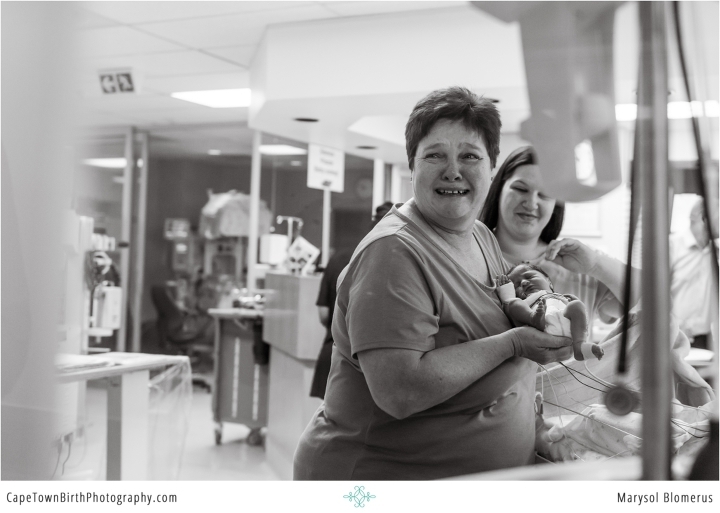 This woman holds her granddaughter for the first time and looks back through the NICU window to onlooking family in disbelief and joy. These two women ran up to catch a first glimpse of their grandson. Their delight is priceless. A grandmother and great-grandmother’s expressions of joy meeting the newest woman of the family. Timeless images like these make me long to have seen my grand and great grandmother’s faces when they first saw me. The treasure this generation will have in all these photos! 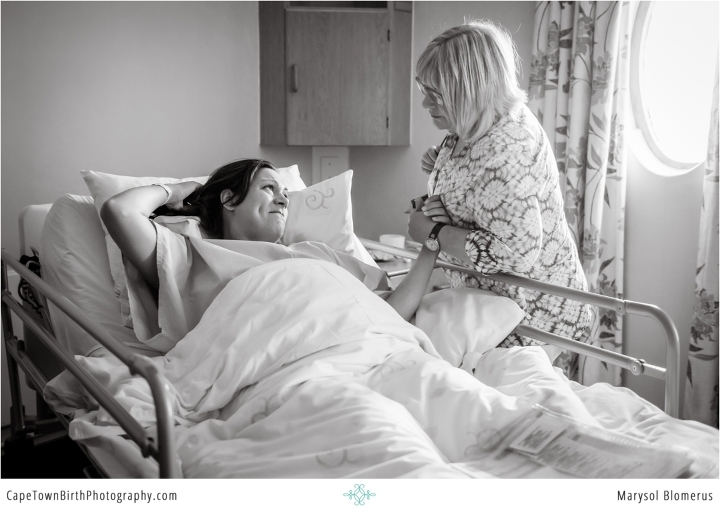 Minutes after witnessing the birth of her grandson, this mother is lost in admiration and nurture of her own baby. She looks on with the future in her arms as history repeats itself with her daughter building her own family. Sometimes nobody is as proud of you as your mama. Having to wait by the window for a bit until getting her first hold and mom gets out of recovery, this patient new grandmother takes it all in and can’t walk away. Its breathtaking to think of the decades of selfless motherhood represented in these moments as generations continue. This great grandmother had that transformative day in her life becoming a mother, then grandmother, and now a third time being handed a tiny human! Her eyes, her hands, her mouth, they say it all. She can’t believe this is true. This is her granddaughter! He may always be her little boy, but now he’s got one of his own. South Africans know the affectionate term of Ouma for a grandmother; it warms our hearts. Two woman, each with their unique life story, share the moment of becoming Oumas. Now bound together in life by the shared love of their grandbabies. When they turned towards eachother and took in the shock of it, I couldn’t press my shutter fast enough. The kiss on the head, it still chokes me up to think of it. Those arms nurtured and consoled his mother as a baby. I always wonder if it feels familiar for her? Moments like these when grandmothers get their first glimpse while a baby is being transported in an incubator are often missed by a new mom. Thus, I do my best to “follow the baby” as much as allowed to not miss any of these reactions. Her arms in motion, ready to wrap around those she loves like only a grandmother can express. She places her baby in her mother’s arms for the first time. Grandmom so overwhelmed with the feelings her eyes are locked shut. Her daughter, however, doesn’t want to miss the look on mom’s her face. On the day some women become grandmothers, it isn’t full of excitement and baby snuggling. There is worry and waiting and uncertainty. And an added helplessness in realizing they are no longer the “parent” in this situation. That change of role can be hard to absorb when you just want your grandbaby to be ok. When trying to text other family the news, this grandmother just couldn’t help breaking into tears. Her hands in both photos express the shock and the joy of seeing her granddaughter for the first time. This new mom’s eyes are an ocean of expression. They have each transitioned into new life roles as women of mother and grandmother. That first moment when you can’t wait to introduce your baby to your mom and see the look on her face. And she in turn, can’t believe she’s seeing her daughter as a mom now. The miles may separate but thanks to technology some grandmothers don’t have to wait to travel to get their first glimpses of their new grand babies. Also of note, is how old this technology will look when this generation of babies grows up. Photos like these will seem dated by then but an important piece of family history. Cause your grandma is so smitten by you, she has to take as many photos for herself as possible. I know better than to ever get in the way of a granny on a mission! It is as grandmothers that our mothers come into the fullness of their grace. – Christopher Morley. We salute the women in our lives who have mothered long before us, who pass on the torch, and who still love so well in their later seasons of life. Happy Mothers Day!